People get postnuptial agreements for similar reasons they do prenuptial ones. 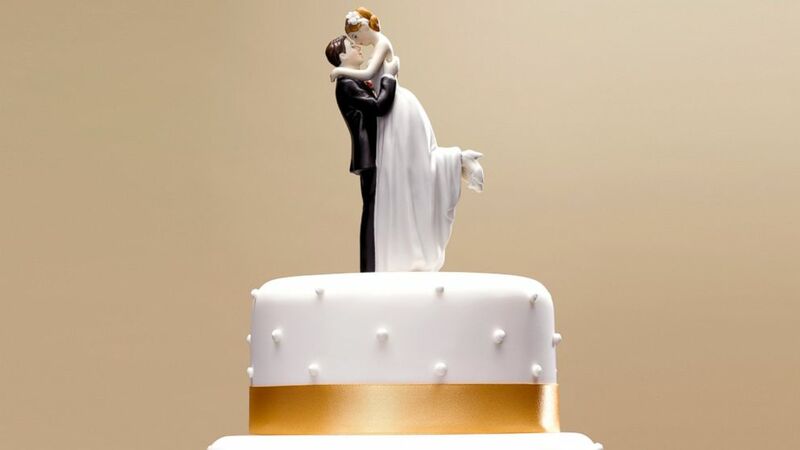 camera (Getty Images) Bride and groom topper on a wedding cake. intro: Getting married is exciting. But in between the bouquet, dress and venue choices, it’s important to remember that it has some serious financial ramifications. Some couples like to keep their money completely separate while others are comfortable combining all funds. No matter your and your partner’s style, it can be a good idea to consider the consequences if the relationship doesn't last. Even if you do not have a prenuptial agreement in place before you tie the knot, you can sign a postnuptial agreement for similar reasons afterward. One reason you might consider a post-nuptial agreement is if you are in your second (or third) marriage and have children from a previous marriage. You may want to ensure that some of your assets go to your children. Another possible reason for a postnup is if someone is unfaithful and one partner wants to persuade the other to work on the marriage. Signing a postnuptial agreement with favorable terms to your spouse can show that you are serious about wanting to stay married. Finally, you might want to get a postnuptial agreement if you step out of the workforce to spend a significant amount of time caring for your children and want to ensure you'll be financially secure. Creating a postnuptial can be costly, because it is recommended that each side hire their own attorney. In the long run, however, it can save a lot of trouble and money if you end up separating. It can also help alleviate concerns about how to re-enter the workforce if you become a single parent, provide settlement in the case of sudden wealth increase, protect your business, help your dependents and even end financial disagreements. Talking about money can be challenging and awkward. You may feel like you do not need this type of legal agreement, but nearly everyone has some property worth protecting. A stay-at-home spouse, someone expecting an inheritance, a recently fiscally successful person or joint owners of a business should especially consider the merits of a postnuptial agreement. Establishing a postnuptial agreement can offer security, but it doesn’t completely guarantee you will avoid challenges, court battles or receiving everything you believe you are entitled to in the event of a separation. Experts tend to agree that a prenuptial agreement is preferable from a legal standpoint and postnuptial agreements may not be enforceable everywhere. It's important to know that ultimately a court could decide not to abide by one. Whether you move forward with one or not, it’s a good idea to be honest and open in ongoing talks of finances with your partner.